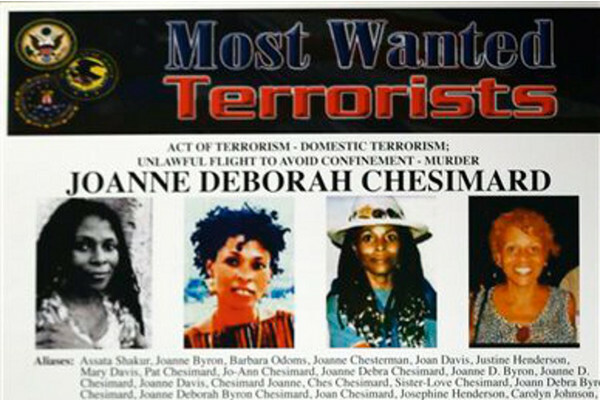 Its being reported that Tupac Shakur's step-aunt Assata Shakur real name Joanne Chesimard has just been named the first Black African Women to be placed on the FBI's Most Wanted Terrorist List and in light of this historic event the Reward for her capture alive has been doubled to $2 million. Assata Shakur was involved with the Black Liberation Army which rose after the dismemberment of the Black Panther Party. In a fatal shoot out with police back in 1977 she allegedly killed and executed officer Werner Foerster with his own firearm. Police later stated that they had found Joanne's jammed handgun laying by Werner's body, confirmed after a finger print analysis was made. be Assata Shakur. New Jersey State Police Superintendent Col. Rick Fuentes in a recent press conference remarked the 40 year anniversary f the "horrific crime an in that the reward for hr capture has been doubled in an effort for more information which would perhaps lead to her arrest. He states "She continues to flaunt her freedom in the face of this horrific crime,"
This is quite an eventful week as it has also been reported that Tupac Shakur's bodyguard has been found dead allegedly committing suicide by shooting himself. Below is the video of the official statement.